Season 2019 is here. 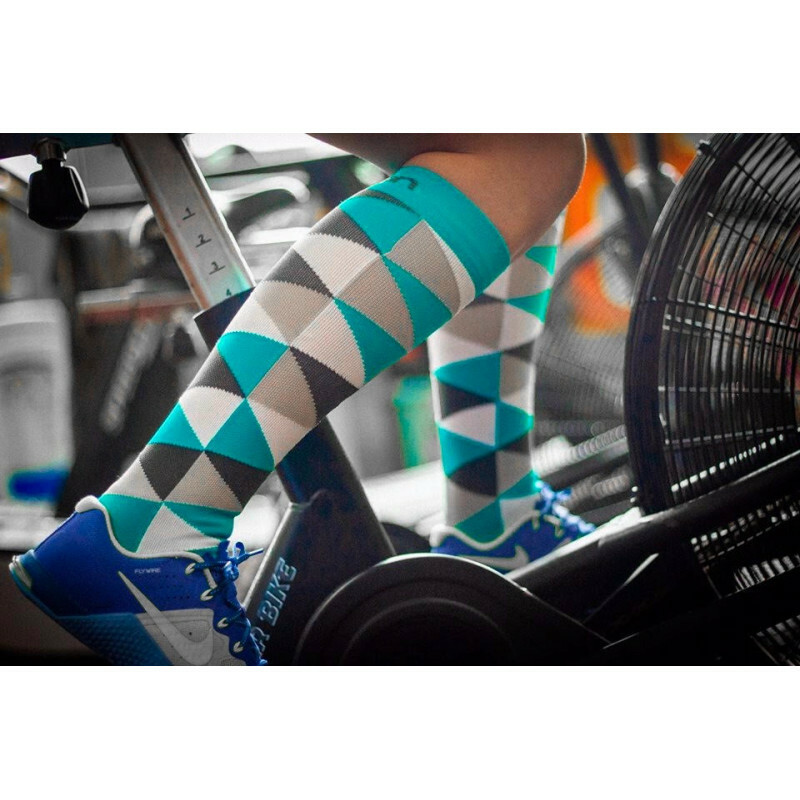 Our compression socks make sure that You train longer, more effective and maintain fresh legs. These cool TRIANGLE compression socks will keep your legs comfortable during endurance runs (against cramps, discomfort), provide proper recovery, will fight stifness during travels (flights, long car or bus rides), and will guide your during trekking/hiking and other adventures. Season 2019 models are here and ready to endure hundreads of kilometers! 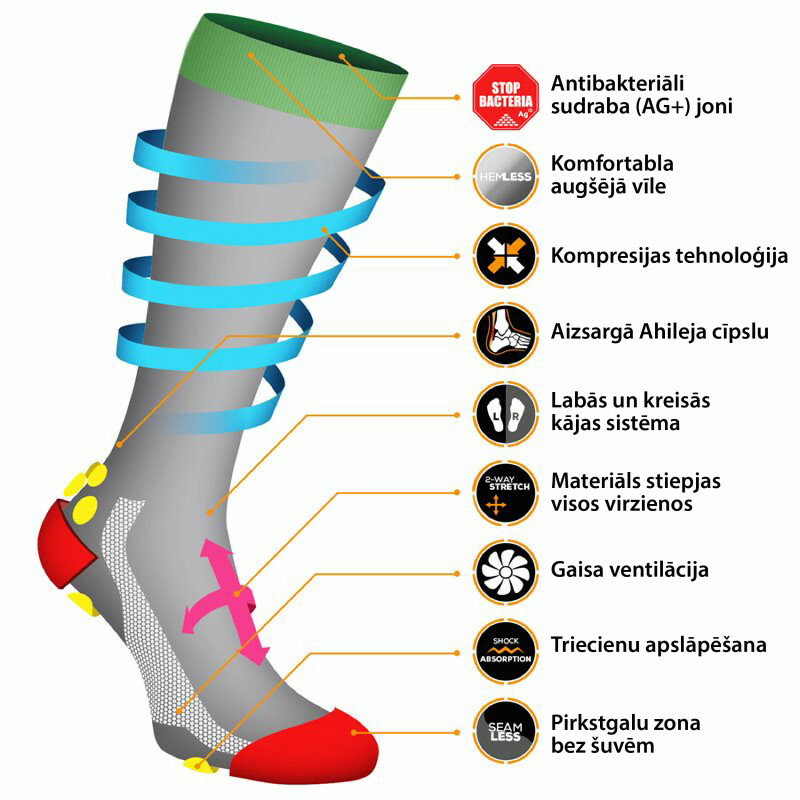 Eleven Sportswear Latvia compression socks make sure that You train harder, longer and recover faster than usual. Are You experiencing headache from all the feet pain, low blood circulation and swelling ankles? Let compression socks deal with these challenges. Made for you: for professional athletes and amateurs, Sunday football players, children, adults and pensioners etc. Eleven Sportswear Latvia stands and falls for its products and guarantees 100% satisfaction; if You are not happy with the product, give us a call and we will find a solution.